The Galápagos Islands are comprised of thirteen main islands famed for their endemic species. You will land at the Baltra airport today and cross the Itabaca Channel to Santa Cruz Island. You’ll be met by a bilingual naturalist guide who will take you for a simple and delicious lunch at a sprawling farm in the highlands, after which you’ll have a complete tour of the area, exploring different vegetation zones and microclimates. Walk around volcanic pit craters and through lava tunnels, and explore the Scalesia and Guayabillo forests. Make your way to the Tortoise Reserve, where you’ll observe the most recognized symbol of the Galápagos, the giant tortoise, in its natural habitat. There are 11 different species of tortoises throughout the islands, some weighing over 500 pounds with shells reaching up to 59 inches long, believed by naturalists to have first arrived here clinging to a piece of driftwood. Your tour will end at your camp, where you’ll enjoy a sunset cocktail followed by dinner. After an early rise this morning, you’ll take a boat trip to explore one of the neighboring islands (North Seymour, Bartolomé, Plazas, Santa Fé, Floreana, or Isabela). Each island is unique, and you will be guided through the natural marvels of your area of visit. In addition to a natural park, the Galápagos Islands and surrounding waters are part of a marine reserve, and snorkeling off of the boat today will allow you to experience the richness and diversity of the ocean life. Alternatively, if you are SCUBA certified we can replace one or both day trips with diving. You’ll spend the day trekking the island, picking up the trail in the village of Bellavista, which will lead you through different life zones and climates, up some of the island’s steepest hills, and around the large holes formed by the collapse of a magma chamber. Passing through agricultural areas and leafy green terrain, you’ll end your hike at the top of Cerro Crocker, the highest point on Santa Cruz. Keep your eye out for the elusive Galápagos Rail, a bluish-black bird that keeps mostly to the ground, and is considered to be currently threatened by introduced species. Today, you will be driven to the eastern part of the island, where you’ll enjoy the morning on a beautiful, pristine beach. Mountain bikes are available if you’d like more of an active day. The contrast of mangroves, black lava, white sand, Pioneer cacti, and turquoise water, in addition to the buzzing coastal bird life and the small pink flamingo-filled lagoon near the beach, is spectacular. You may choose to lunch at a local restaurant in Bellavista, or we can arrange for a beach picnic, after which you can do some sea kayaking. In the afternoon, your naturalist guide will accompany you to the Charles Darwin Research Station in Puerto Ayora. On your last day, you’ll have an optional tour of the farm of your camp, where you can enjoy the sunrise from one of our view points, and continue for a walk to the barn owl’s cave before breakfast and your transfer to the airport. 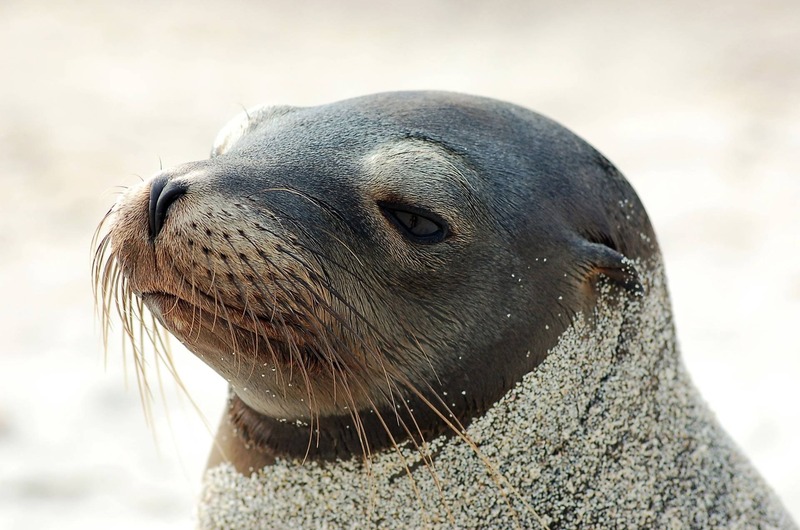 Alternatively, you may choose to extend your stay on the Galápagos with two additional days of island hopping.